Jeremiah was known as the “prophet of doom.” In chapters 19 and 20 of Jeremiah, we read that after he had prophesied the imminent demise and catastrophe concerning the kings of Judah and the inhabitants of Jerusalem, Pashhur, the priest and the chief governor in the Lord’s house, struck Jeremiah and put him in the stocks that were in the high gate of Benjamin. I know that you do not have to be a prophet of doom to experience adversity and personal attack from many different directions when you are serving the Lord with relentless passion. I have been discouraged more than a few times in my ministry, even enough to consider the possibility that I should “wind down” and call it quits. However, there is one huge problem with that. You see, His word is in my heart, like a burning fire shut up in my bones; And I cannot hold it back! I returned from Mexico in February from the most powerful and dynamic trip of my lifetime. We traveled by van with Pastors Alejandro and Iliana Orella, their sons Mathew and Esteban Orella, Pastor Isaias Acosta, Norma Erb, and Amy Sobek. 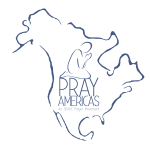 We were in three different states — Oaxaca, Chiapas, and Vera Cruz — ministering in five cities. I preached in eight awesome churches, 12 different times, and God allowed me to preach about half of these in Spanish. How could I possibly quit? As long as the fire burns, I cannot hold it back. There is revival in parts of Mexico. I keep hearing the voice of God saying, “Seek me while I may be found.” (Isaiah 55:6-7) I have always looked for the place where the Spirit is moving, and desired to be in that place, to cooperate with the Holy Spirit in that particular Kingdom work. And now, the book I have written is published and being sold, first in Spanish in Mexico and now in English in the United States. 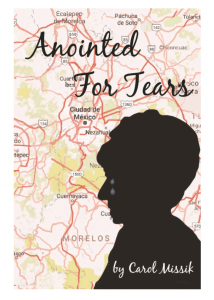 This book is called Anointed For Tears and is a combination of Bible teaching, personal experiences over the years working, and some prophetic exhortation. I have poured my heart and soul into this book, and I am believing that it will go to many, many places where I will never be able to go. 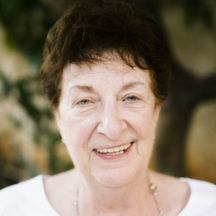 Pastor Carol Missik’s book, Anointed For Tears, is a combination of Bible teaching, personal experiences over the years working, and some prophetic exhortation. Please contact the SEAPC office if you’d like to purchase a copy. For more than 20 years, Pastor Carol Missik has been prayer-walking and serving in Mexico, and has established a ministry for this purpose, known as Operation Capital City. She and OCC have been in partnership with SEAPC for the past 10 years.